Wearing his bandana "Mang Kepweng" style. 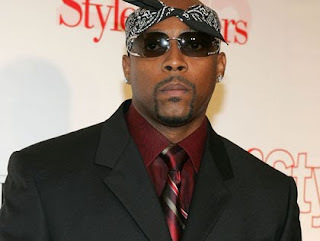 Nate Dogg a.k.a. Nathaniel Dwayne Hale. 19 August 1969 - 15 March 2011. It's too late for this comment, but I believe Regulate also was my hip-hop "ear-opener". Thanks Scottie!